Of all the purposes that aluminum has proven to be useful for, Jeff Ivanhoe and his wife found room for one more. In 1981, when Jeff returned one day to see his wife had created the shape of an object with some aluminum pieces she was playing with, the couple already knew they were on to something. 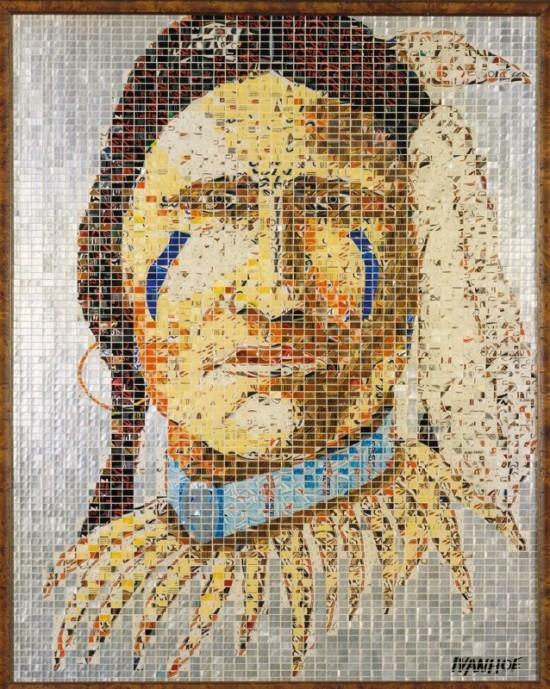 Over the next weeks, they worked on their first artwork: the portrait of a Native Indian, using recycled soda and beer cans. The other pieces that followed were even more beautiful as the couple learned from their mistakes and worked on mastering their skills. 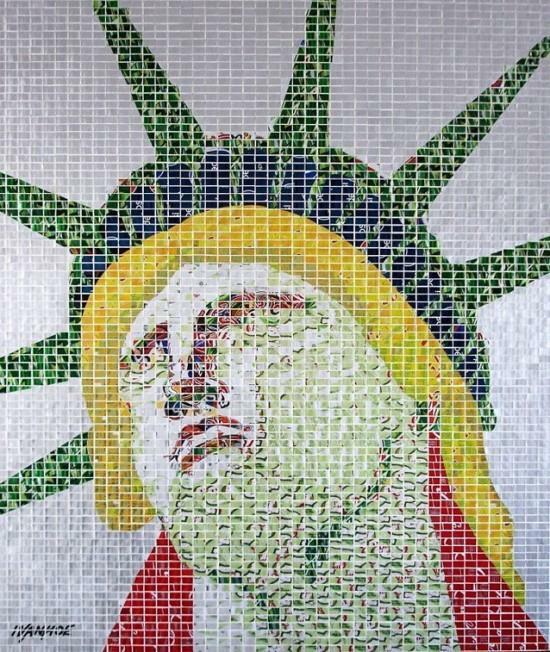 As early as 1982, their incredible artworks called “alumosaics” – the name given to the colorful aluminum mosaics – started featuring in galleries and libraries, as well as newspapers and even on Ripley’s Believe It or Not. Encouraged to create even more, Jeff and his wife continued with their unique art, designing detailed portraits and models of objects, just by using the designs on the original aluminum cans. Looking at a close glance, one realizes everything from the outline to the color tones is rendered exclusively with the original cans.